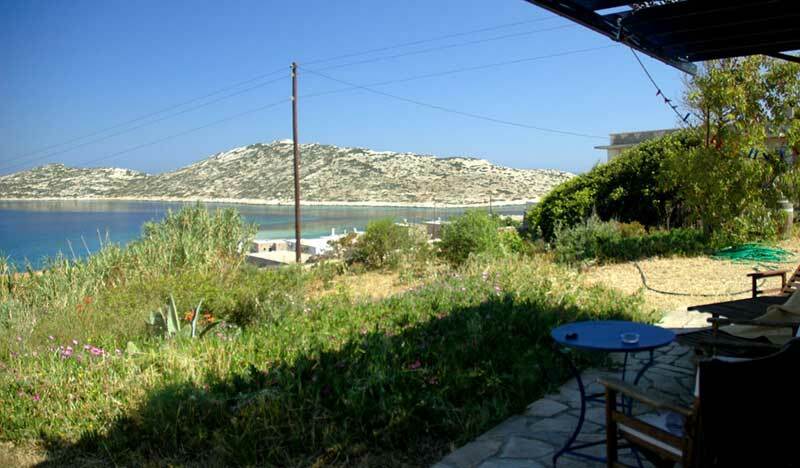 If you look for a quiet and comfortable location away from the crowd but close to the waterfront with beautiful beaches, one of the 11 apartments at Agios Pavlos Studios might be perfect for your desires. 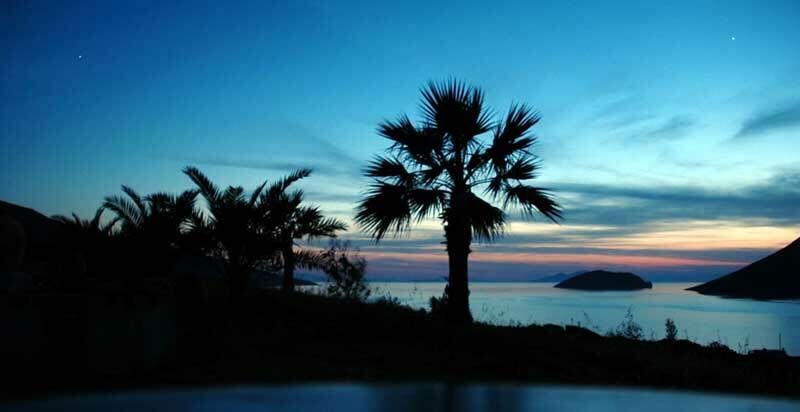 The studios lie next to the little Agios Pavlos – St. Paul’s – chapel, a tavern, and the famous Agios Pavlos beach, with the island of Nikouria vis-a-vis. 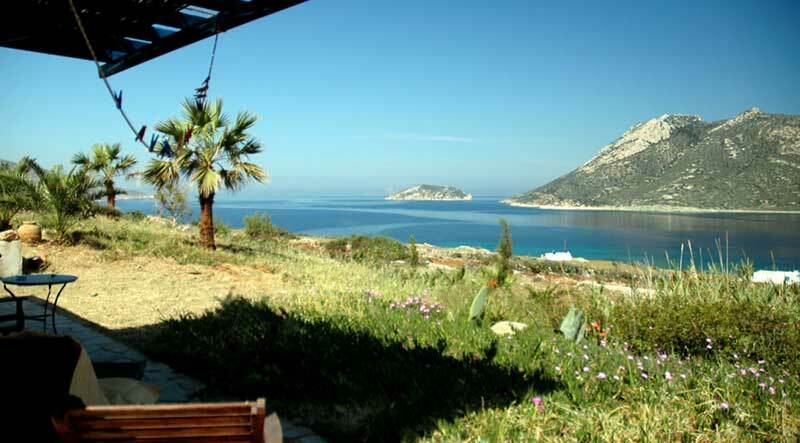 It is a very special place for people who like the countryside and want to enjoy sea, sun and nature. Agios Pavlos beach, with its pebble ground, continues as an underwater reef to the unsettled island Nikouria. It’s appeal has a bit of a Caribbean lagoon. Sunset afficidonados can listen to the silent sigh oft a fantastic sunset! 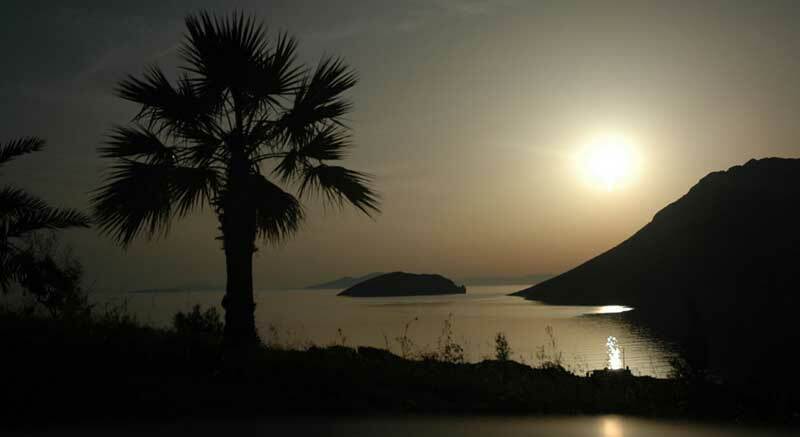 Only the sound of the sea and goats’ bells remain at the Agios Pavlos Studio after this impressive show. The peaceful atmosphere at the studios attains all wishes on a calm place to stay. Simple, elegant rooms are housed in the cycladic classic white and blue flat-roofed buildings. Attentive to every detail, the studios comfortably accommodate up to four people. 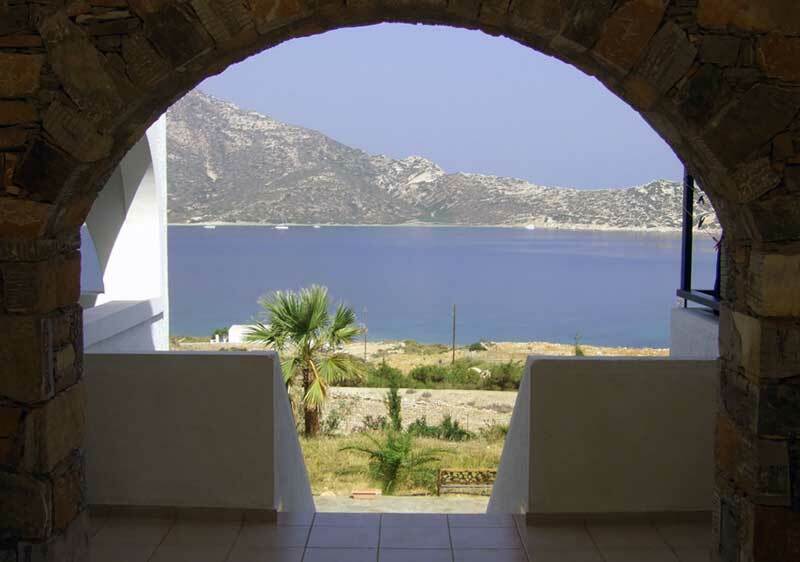 All studios have a terrace overlooking the Agios Pavlos bay, a well-equipped kitchenette, refrigerator, air conditioning, TV and a private bathroom with shower. One may choose from different types of studios for two, three and four persons in the main building. Each with waterfront view, balcony or patio. The deluxe studio is situated in a seperate charming and precious two person house, furnished with natural stone. There are also two studios at the stand-alone-dependance, perfectly equipped for four or two persons. BTW: Mihalis runs also a four apartment Guest House in the center of Aegiali. More reviews on Tripadvisor (Rating Excellent) or Booking.com (Rating Fabulous). ottiliaOTTILIA19 July 28, 2010	Log in to reply. Der Gastgeber Mihalis ist super, er ist bemueht den Aufenthalt schoen zu gestalten, die Wohnung hat eine herrliche Aussicht eine Ruhe, ist konfortabel und sauber.Unterhalb der Wohnungen ist die Fischtaverne der Frau Evangelia, wo man taeglich frischen Fisch essen kann. Jedenfalls ist Aghios Pavlos seit 6 Jahren unser idealer Urlaubsort. eric September 12, 2010	Log in to reply. I visited the Agiospavlos Studios in summer 2 years ago . The location of these studios is just amazing , you can really forget about anything when you are sitting on the balkony and looking on the sunset . The studios were clean and nice and you have a free parking area, wich was good for us , because we rented a car. The owner Michalis is also a very nice and modern guy . 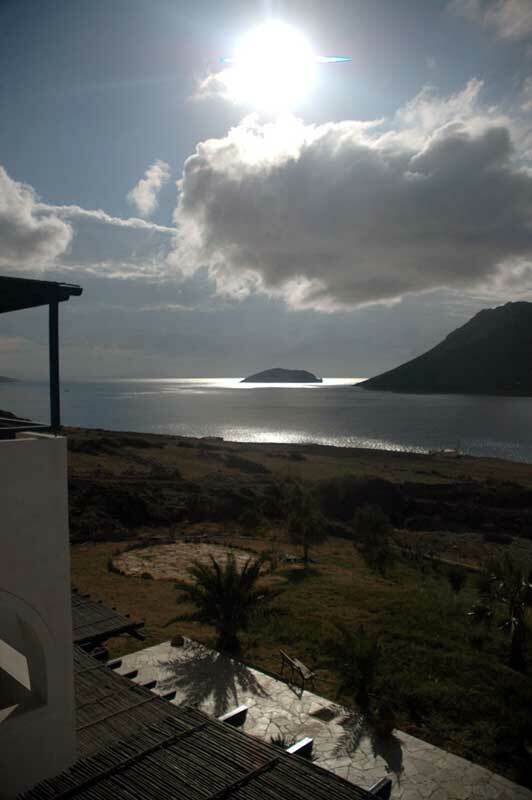 I think we will visit Amorgos the next summer , and we will go to the Agiospavlos studios again.